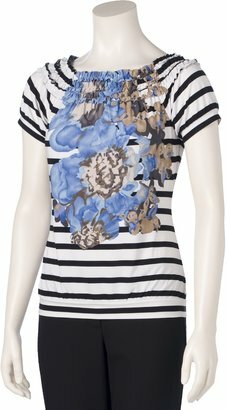 This Stella McCartney Floral-Print Striped Shirt from the 2010 Resort collection sells for $475 at Bergdorf Goodman. Although the fabric, sleeves and flower print are slightly different on this top from The Limited, the inspiration seems unmistakable. Get this top for just $34.50 by clicking the image above.